The tour was jointly led by Mark J. Bouman, Chicago Region Program Director, Environment, Culture, and Conservation (ECCo), The Field Museum, Laurel M. Ross, Urban Conservation Director, Environment, Culture and Conservation (ECCo), The Field Museum, and Christopher R. Mulvaney, the Green Infrastructure Coordinator of the Chicago Wilderness Consortium. It is so easy for the good and powerful to think that they can rise by following the dictates of conscience by pursuing their own ideals, leaving those ideals unconnected with the consent of their fellow-men. The president of the Pullman company thought out within his own mind a beautiful town. He had power with which to build this town, but he did not appeal to nor obtain the consent of the men who were living in it. The most unambitious reform, recognizing the necessity for this consent, makes for slow but sane and strenuous progress, while the most ambitious of social plans and experiments, ignoring this, is prone to the failure of the model town of Pullman. A buffet and bar will be available, and we are looking for volunteers to help us out! If you can help organize this event, please contact us at rschultz@uchicago.edu as soon as possible. 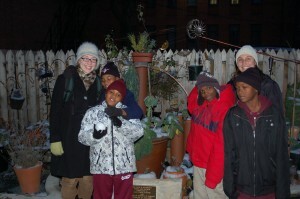 Here are the latest pictures of the Timuel D. Black Edible Arts Garden at 5710 S. Woodlawn. 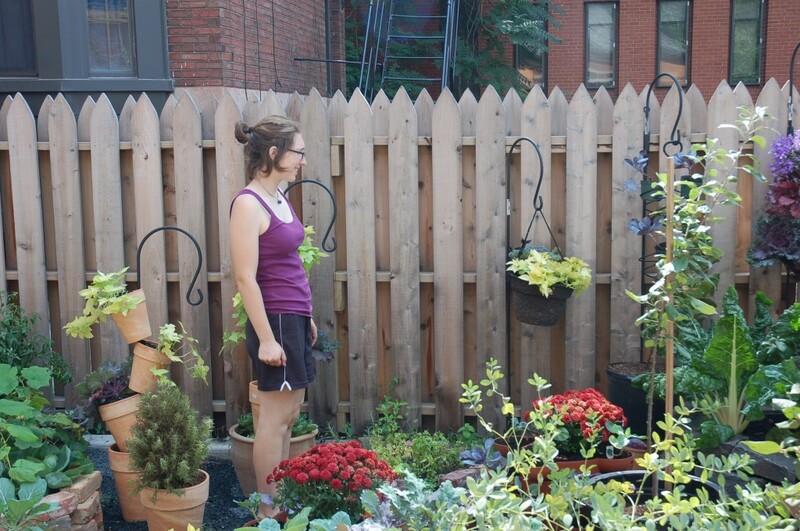 CKP Intern Cecilia Donnelly in the garden. 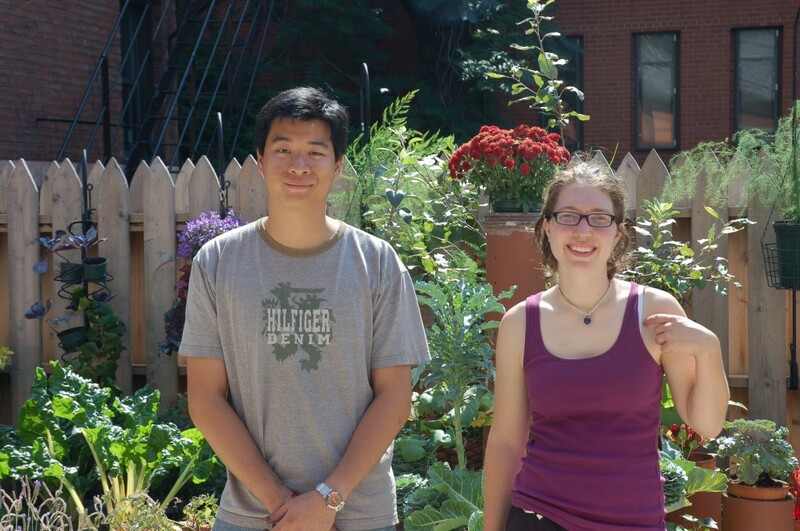 Cecilia Donnelly and Michael Cheong-Leen in front of the Edible Arts Garden. As you can see, we’ve expanded the garden vertically with the addition of wrought iron shepherd’s crooks holding baskets of plants. 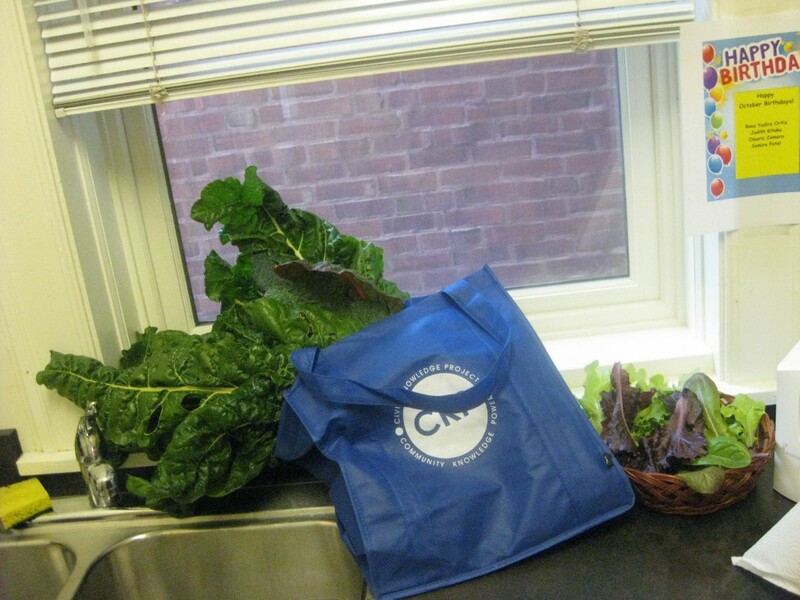 Check out the garden yourself on Thursday with the CKP’s Diversity Garden Tour. We’ll be meeting in front of the Walker Museum on the main quad at 3 o’clock in the afternoon. If you can’t make the tour, don’t miss the dedication ceremony for the garden on Monday, October 5th, at 5 o’clock at 5710 S. Woodlawn. See the previous post for more details on the ceremony, and we hope to see you soon! Welcome to the Civic Knowledge Project's newest network – connecting you to the many environmental and social action groups in Chicago!